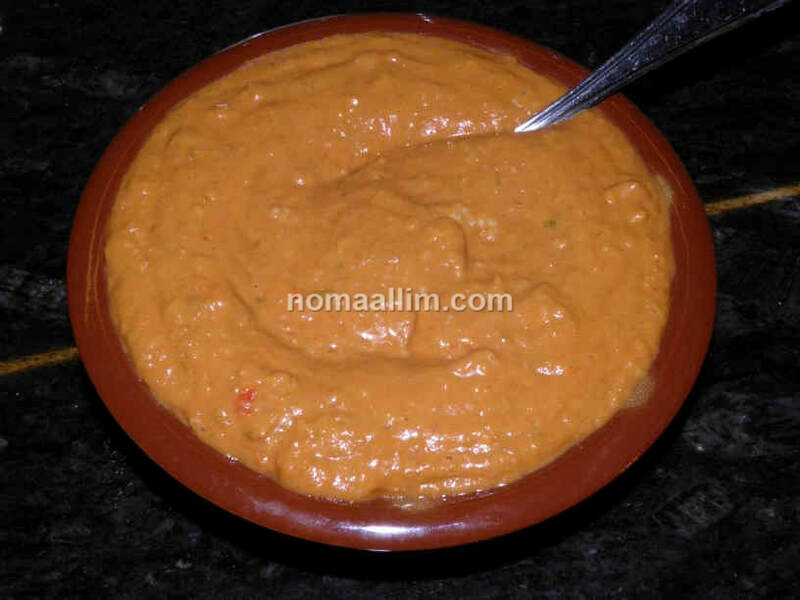 This is a tomato and capsicum Muhammara with red chili pepper used only as a spice in order to obtain a less spicy dip that everyone can enjoy. 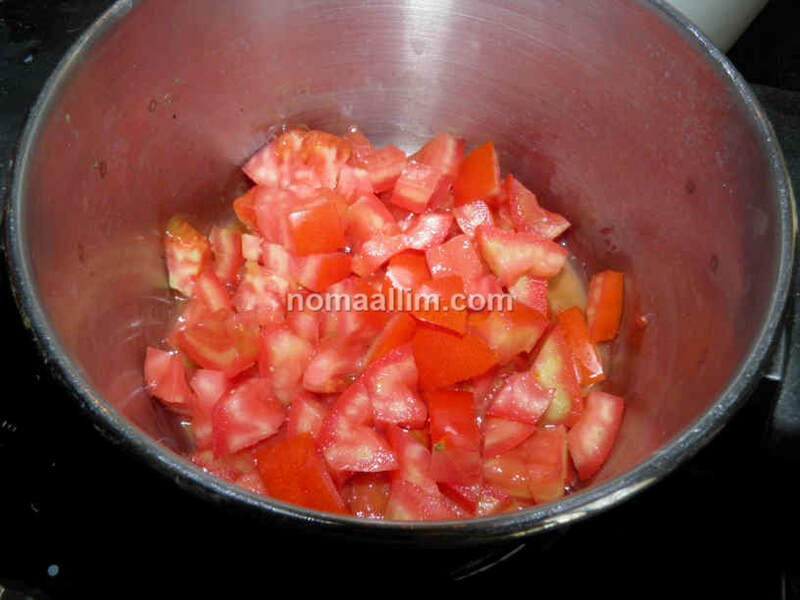 Cut the vegetables in dices or quarters, put them in a pot along with the ground spices and cook at medium heat until soft along with the tomato paste. 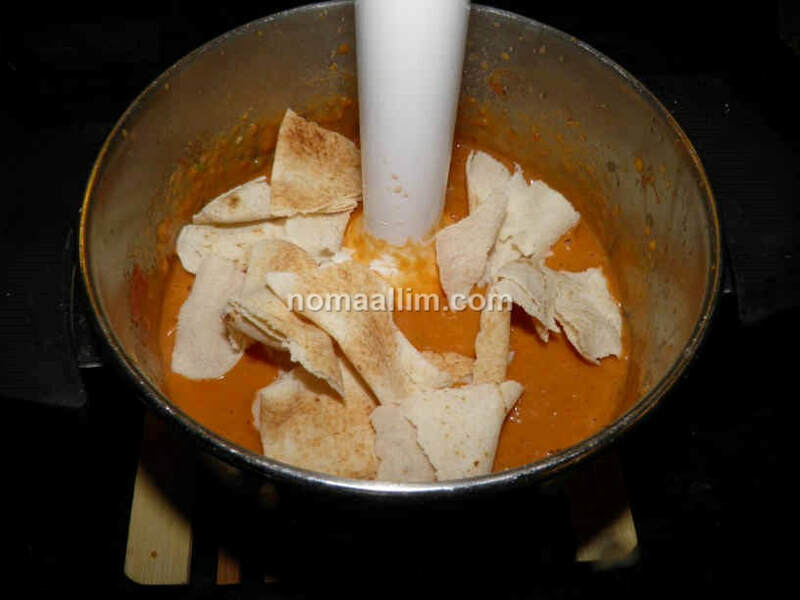 Do not add the salt yet. 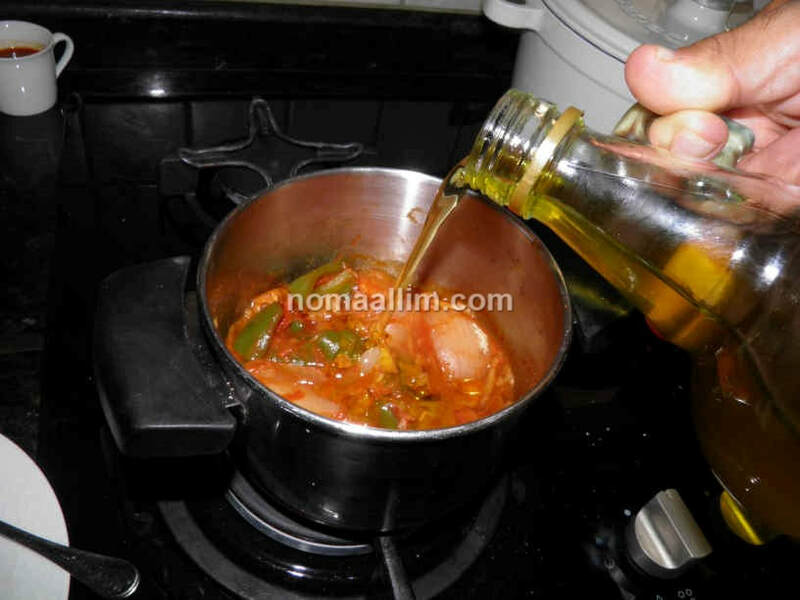 Add the olive oil and take out the pot from heat. 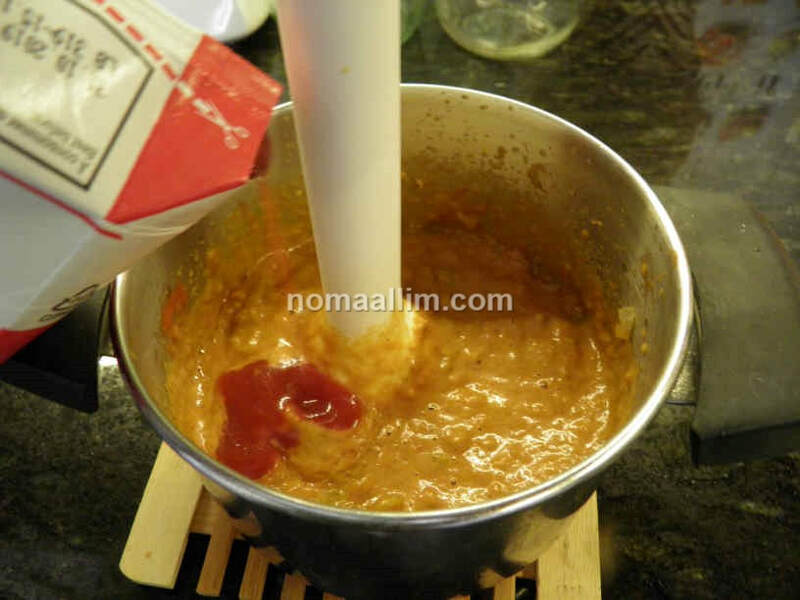 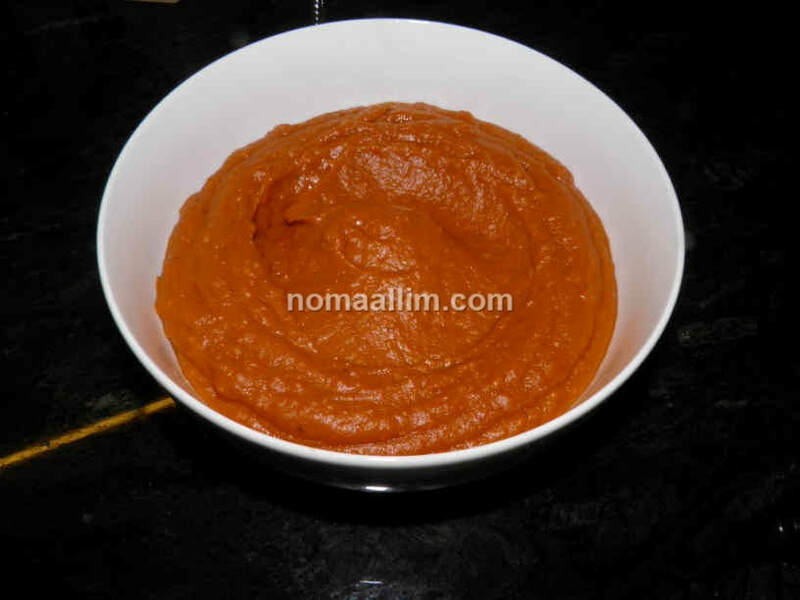 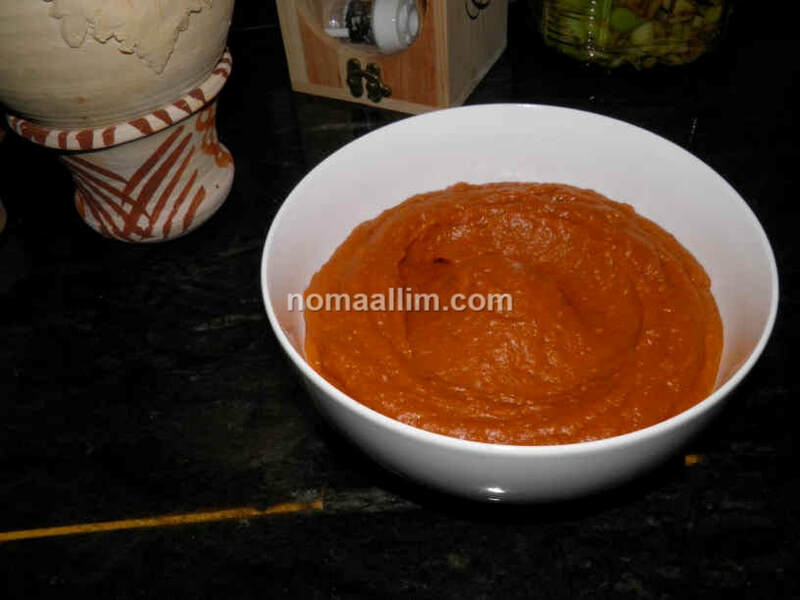 Use the immersion blender to mix all into a thick paste while adding the tomato puree. 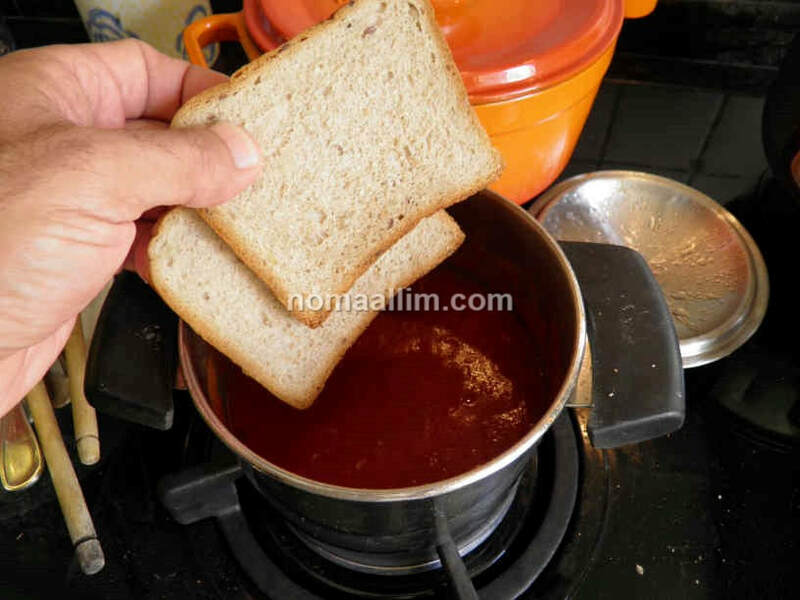 Make sure it is uniform before adding the bread which can be sliced bread for toast or Lebanese bread and continue mixing. 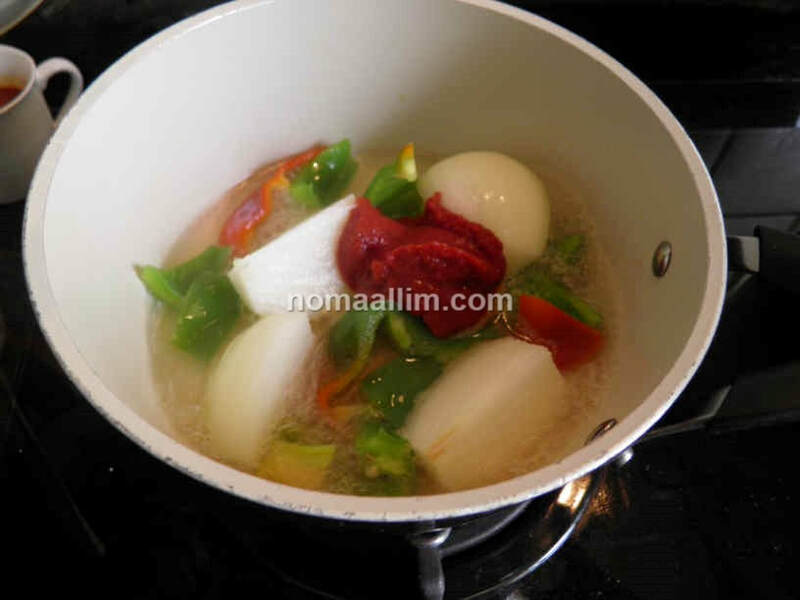 Continue cooking at low heat for 8-10 minutes while stirring from time to time.